During New York Fashion Week, I had so much fun wearing cowboy boots and styling them in different ways. 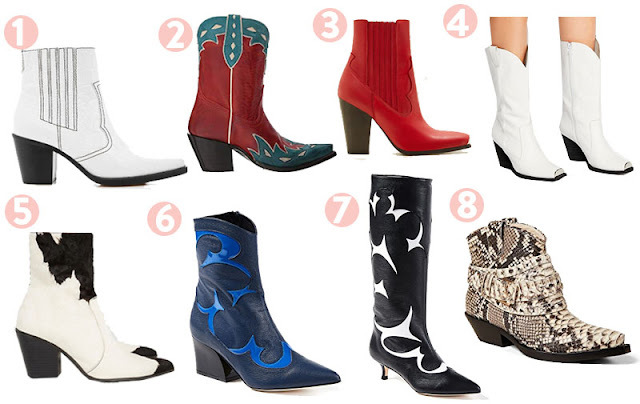 Cowboy boots are actually such a versatile show, and can be worn with many different outfits. I love New York Fashion Week because it gives me an opportunity to experiment and play around with outfits that I would never be able to wear on a day to day basis. On the day of the Song Jung Won show I wanted a more fashion forward look and I feel like the cowboy boots added the element to the outfit that it needed to really make it stand out. I love wearing cowboy boots because they are so comfortable, but still very fashion forward. They always add a little edgy element to any look. With this look being so elegant, adding the cowboy boots was exactly what it needed to spice it up. To finish up this look, I added a Zara belt bag that I picked while in NYC to pull everything together as it followed a similar color scheme as the blouse. This is definitely one of my favorite looks I wore during fashion week because of it subtlety but yet still eye-catching elements.